The global Cloud SCM market is expected to grow at 20.0% CAGR during the forecast period with the market size reaching USD 15.3 billion by 2024. Different solutions including product life-cycle management, demand planning & forecasting, logistics management, and inventory & warehouse management together hold the majority of the cloud SCM market size. The market has witnessed significant growth over the last few years due to the reduction in cost incurred by enterprises with the usage of these SCM solutions and reduction in chances of potential failures. Based on solution, the cloud SCM market is categorized into inventory & warehouse management, transportation management, demand planning & forecasting, logistics management, product life-cycle management, sales & operations planning, product master data management, order management and procurement & sourcing. Of all these, demand planning & forecasting solutions account for the largest share in the market, globally. It will also witness the highest growth during the forecast period. Demand planning and forecasting help enterprises to accurately predict the revenue forecast and manage optimum inventory levels, thereby witnessing the significant growth over the years. The key services offered in the cloud SCM market include support & maintenance, training & consulting and managed services. Of all, support and maintenance services are anticipated to witness the fastest growth in demand at a CAGR of 24.0% during the forecast period. Enterprises require support and maintenance services to ensure efficient cloud supply chain management. On the basis of deployment type, the market is segmented into public cloud, hybrid cloud, and private cloud. Hybrid cloud account for the largest share in the global market, however, the fastest growth of the market size is expected for the private cloud SCM market during the forecast period. Several benefits of private cloud such as instant provisioning, scalability, quick expansion of server base and virtualized resources lead to increased adoption of the platform by several enterprises. Based on user type, the market is segmented into small and medium enterprises, and large enterprises. Large enterprises are the major stakeholder in the cloud SCM market as the supply chain remains complex in these enterprises, thus requiring cloud SCM solutions for efficient management of its supply chain. Among different industries including retail & wholesale, energy & power, transportation & logistics, food & beverage, manufacturing, hospitality, government, and healthcare & lifesciences, the Cloud SCM market size is the largest for energy & power industry and it is expected to grow at the fastest CAGR during the forecast period. Supply chain for energy and power sector is complex. Cloud SCM solutions help it to make it resilient and efficient, thus leading to its adoption by this sector. 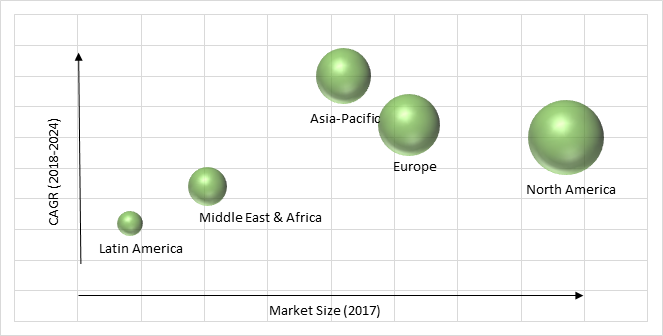 The key factors driving the growth of the cloud SCM market are low initial investment, increasing adoption in transportation and logistics sector and increasing awareness among enterprises regarding the benefits of these solutions and services. Cloud SCM solutions are developed for providing robust transportation planning and execution. It helps to track and mange transportation activities across the dynamic transportation supply chain. It also helps to reduce freight cost, automate business activities and optimize service levels. The platform provides collaboration between multiple parties or enterprises involved in order to run the business activities and logistics operations with enhanced efficiency. Some of the other factors fueling the growth of the cloud SCM market include increasing awareness among enterprises for the SCM solutions and reduction in cost of supply chain operations for enterprises. The key challenges faced by the industry players in the cloud SCM market include complexities of implementation for supply chain of large enterprises, increasing concerns for security and privacy among enterprises and underdeveloped IT infrastructure in the developing nations. Also, issues related to data segregation and management and dearth of technical experts hinder the growth of the market. Geographically, North America is the largest cloud SCM market and Asia- market is expected to grow at the fastest CAGR during the forecast period. North America has been at the forefront of adopting and investing in the latest information and communication technologies. This leads to the huge demand for cloud SCM solutions and services across the industry verticals. U.S. remains the larger market in North America and also predicted to grow at the faster CAGR during the forecast period. Countries in Asia-Pacific are promoting innovation for digital technology. It involves investing in Internet-based economy including digital transformation and cloud-based technologies. Different industry verticals in the region are adopting smart manufacturing practices which involve smart procurement, which drives the Asia-Pacific cloud SCM market. Market players in the Cloud SCM industry are expanding their product portfolio with a focus on easing the complexities of the supply chain. Oracle Corporation, SAP SE, JDA Software Group, Inc., Infor, Inc., Manhattan Associates, Inc., Descartes Systems Group, Inc., Kewill, Inc., TECSYS, Inc., Kinaxis, Inc. and Logility, Inc., are some of the key players offering solutions and services for Cloud SCM. 11.3. JDA Software Group, Inc.
11.6. Descartes Systems Group, Inc.
Table 218 Snapshot – JDA Software Group Inc.
Table 219 Snapshot – Infor Inc.
Table 220 Snapshot – Manhattan Associates, Inc.
Table 221 Snapshot – Descartes Systems Group, Inc.
Table 222 Snapshot – Kewill, Inc.
Table 223 Snapshot – Kinaxis, Inc.